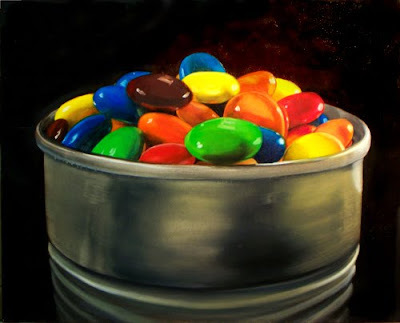 A favorite subject to paint...m&ms. Also a favorite to eat! Oil painting on 8x10 hardboard.